A total of 36 companies from various sectors like infrastructure, financial services, media, hospitals, transports, having issue of nearly Rs 67,141 crore entered into the IPO market in 2017. Exploiting investors' appetite for equity shares, initial public offerings (IPOs) are set to shine in the year 2018 also, as they dominated the year 2017. A list of 22 firms have already shown their interests in entering this route so far. In the year 2017, the IPOs touched a new milestone as many companies used this route to raise capital. 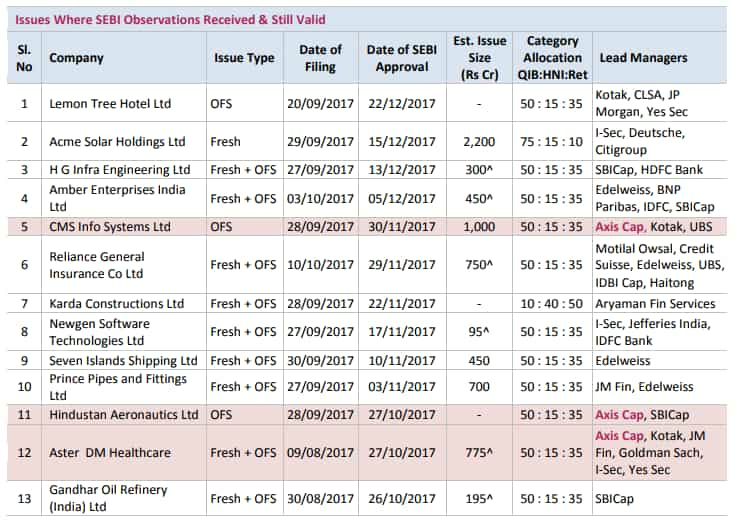 A total of 36 firms from various sectors like infrastructure, financial services, media, hospitals and transports, entered into the IPO market having issue of nearly Rs 67,141 crore. The contribution of new listings to Indian market cap reached to a seven-year high of 3% in 2017. At present, Indian market cap to GDP ratio is at 85%, of which 2.6% is contributed by the new listings. 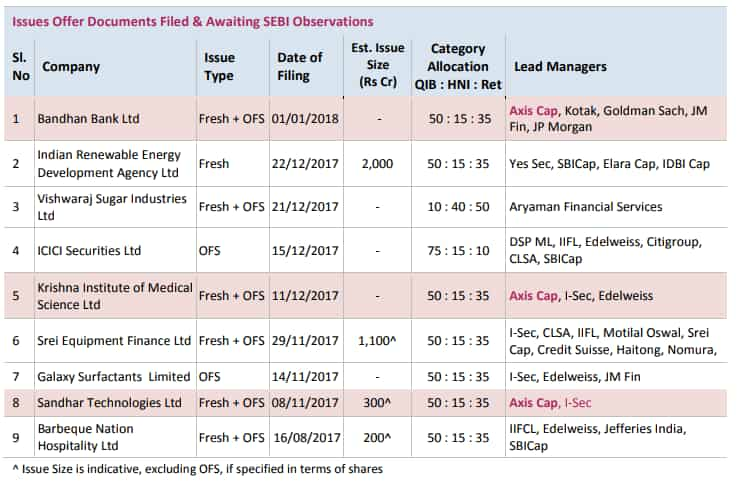 There are 13 companies which filed for their IPOs in 2017, and are under the observation of market regulator Securities and Exchange Board of India (Sebi) can be expected soon this year. These companies are: Lemon Tree Hotel, Acme Solar Holdings, HG Infra Engineering, Amber Enterprises, CMS Info System, Reliance General Insurance, Karda Constructions, Newen Software Technologies, Seven Islands Shipping, Prince Pipes and Fittings, Hindustan Aeronautics, Aster DM Healthcare and Gandhar Oil Refinery. There are nine other firms which have submitted their documents for IPO issue and are waiting for the Sebi's nod. These companies include Bandhan Bank, Indian Renewable Energy Development Agency, Vishwaraj Sugar Industries, ICICI Securities, Krishna Institute of Medical Science, Srei Equipment Finance, Galaxy Surfactants, Sandhar Technologies and Barbeque Nation Hospitality. Analysts are very optimistic on the IPO market.